The city of Toronto has an undying love for film, sports, and outdoor patio setups, but great cocktail programs have become its mistress. There's always a new establishment popping up in someone's neighborhood -- a pub, tavern, cafe, or an upscale home bar with upscale bros -- and because of that, there are myriad drink choices begging to be discovered. To help, we've rounded up 50 boozy must-haves that truly represent Toronto's multicultural vibes and its newfound affinity for well-poured drinks. The folks here are molecular mixology wizards, and because of that, BarChef has become an everyday watering hole for secret splurgers. The Cucumber Fizz is a fairly basic go-to -- mixing vodka, maraschino, cucumber, and elderflower pressé -- but its quality is top-shelf. Anthony Rose’s latest venture is a Parisian-style bar that solicits cocktails from Oliver Stern (Toronto Temperance Society), whose house originals experiment with everything from celery vodka to cold brew coffee. Then, there’s the Inner Circle ($16), which shakes things up with blended Scotch, pineapple cordial, grapefruit, and IPA. Joel and Joshua Corea’s "new" wine bar has all the goods to be the best vinotheque in the city solely because the staff are legitimate wine geeks. The Dundas West spot offers an impressive list of reds and whites, while creative efforts like the Contratto Spritz (white vermouth, sparkling wine, limonata) complement the bar’s laid-back, warm environment. The newbie on Augusta is a 21st-century speakeasy that can literally be found below Torito Tapas Bar. What it lacks in size, it makes up for with a bit of ingenuity. The space serves up a smorgasbord of snacks, including Spanish olives and ham & cheese boards, and the drinks aren’t afraid to get a little artsy. The Moon Under Mezcal ($12) is a herbaceous agave cocktail that’s a tribute to George Orwell’s ideal fictional pub house, the Moon Under Water. The College St restaurant’s notable refresher is just like any other ex: it’s feisty, slightly bitter, and sweet when it wants to be, mainly because it’s a shaken blend of Absolut Elyx, white peach-infused Bianco vermouth, Aperol, grenadine, grapefruit, lemon, and teapot bitters. The Addisons Residence is another lounge-meets-club attraction that’s divided into a kitchen, a living room, and a rec room. But the real adventure lies in the hands of mixologist Manny Contreras. The "Master Tequilier" takes his art form very seriously, and it’s why the Zona Rosa, his unanimous go-to, offsets 1.5oz of tequila blanco with Briottet Triple Sec liqueur, hibiscus agave, and a calculated splash of fresh lime juice. The super-new Tex-Mex joint occupies the space that was once Citta, and thanks to design firm Studio Munge, it’s fully decked out in neon lights and arcade classics such as Galaga and Ms. Pac-Man. 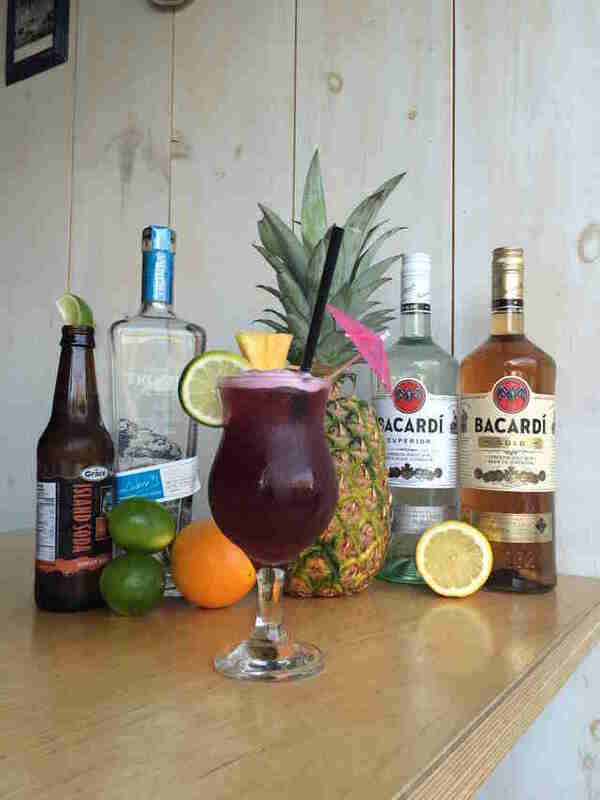 The main attraction, however, is the enclosed patio and how it goes hand-in-hand with the alcoholic agua frescas (spike 'em with tequila, vodka, gin, white rum, whiskey, or bourbon). If you’re with friends, you may as well snap into a Macho Pitcher ($35) of the stuff. 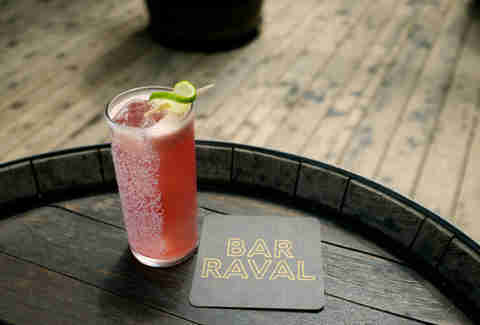 Bar Raval is a pintxos bar that bleeds culture thanks to a menu with everything from shrimp crudo ($13) to Galician-style octopus ($8) and adobo pork bocadillo ($11), and the exotic philosophy carries over to its cocktail list. The Pixie Blood ($16) might seem like an odd choice, but it’s a tequila drink for the fearless that mixes Espolon Blanco with cinnamon grenadine, lime, green chartreuse, and absinthe. This Montreal transplant is fully outfitted with couches, pool tables, and NBA Jam, but at heart, it’s a club/lounge hybrid that likes to party with specialty cocktails. One popular request is the Cosmo TO, made with hibiscus-infused vodka, thyme-infused Cointreau, lime, and cranberry juice, and is tart enough to be a sidekick for any spontaneous IRL flirting. The historic Maple Leaf Tavern recently re-opened after three years of renovation, and despite its reputation for being hole-in-the-wall, it’s starting a new chapter. The Tavern’s new cocktail program was developed by New York bar guy/writer Naren Young, and it’s full of modern delights, like the Garibaldi -- a drink that simply whips together Campari and fresh orange juice. Nav Sangha’s Wrongbar recently transformed into Miss Thing’s, but it’s still a spot for drinks, vibes, and self-indulgence. Cue the Fuzzy Wawa, which is essentially a daiquiri in a coconut with Havana Club 3-Year, lemongrass sake, kaffir lime syrup, and coconut bitters. 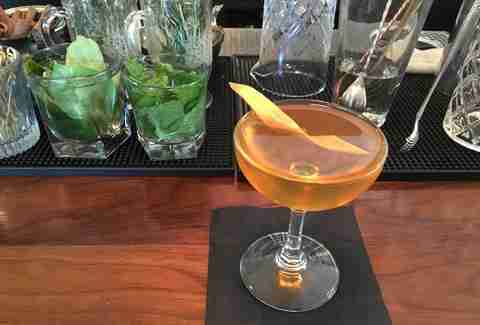 Just how boutique is Julien Salomone’s Boutique Bar? 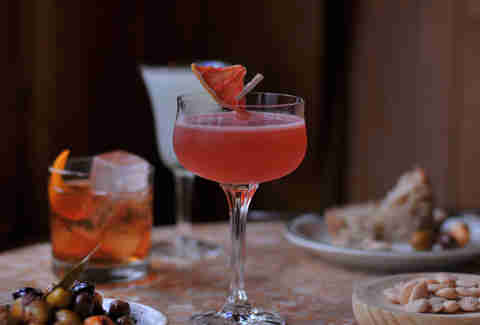 For starters, the cocktail lounge is a martini sanctuary for the young professional types, and one of its main attractions is the eponymous Boutique Blush. The drink unifies white wine, triple sec liqueur, white cranberry juice, and fresh raspberry puree for a sweet yet tart finish. If hotel bars are overrated, then the Royal York Library Bar is the exception. 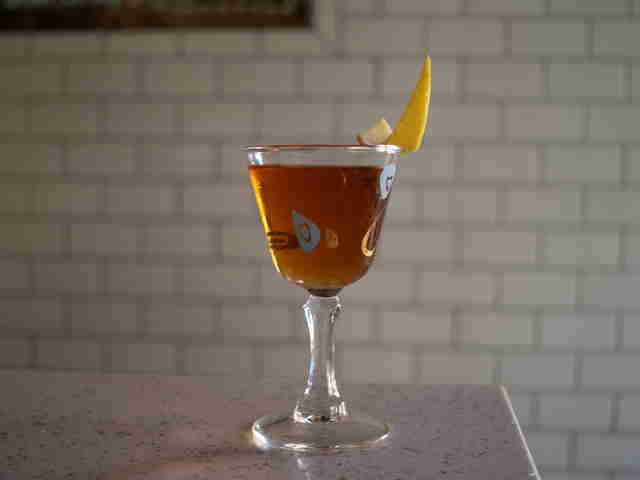 The casual spot is decked out with robust tea & whiskey lists, and then there are the handcrafted cocktails -- including this icy delight that mixes Royal York ice wine, Belvedere vodka, and Grand Marnier. The best part? It’s shaken over ice and garnished with a single frozen grape. If you can get past Nikai’s Momofuku ramen and roasted rice cakes, then go straight for the Vieux Soirée ($14). It’s no Paper Plane ($14) or Brisca Fresca ($12), but it’s a cozy post-dinner sipper that combines peach rye with rum and a herbal liqueur. Dustin Keating’s hangout can be a major cocktail tease thanks to its city-wide collabs, guest bartenders, and ever-rotating list of features. But if you do happen to notice The Cherry Seinfeld in its natural habitat, order a round (or three). 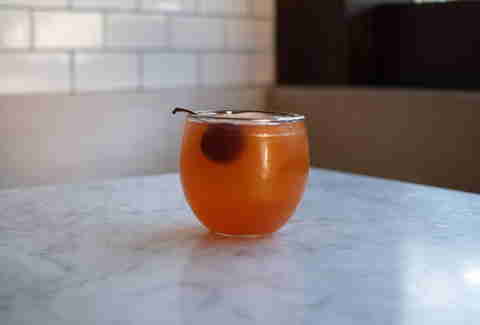 The rare Montauk brew blends together bourbon, cherry gin, Cocchi Americano, lemon, egg white, Angostura, and "the juice that comes from the cherry jar." In other words, no soup for you! Hidde Zomer’s kitchen revolves around a wood fire pit that smokes the usual BBQ standards (brisket, sausage, pulled pork) and adds a new dimension of flavour to certain cocktails. One example is Carbon’s Pit-Fired Old Fashioned ($14) -- a rustic smoke ‘n’ oak adaptation made with smoked Pike Creek rye, Sortilege liqueur, orange, sugar, and Angostura bitters. Co-owners Nick Kennedy, Cole Stanford, and David Huynh built Civil Liberties from the ground up (literally), and it’s partially why the atmosphere hones in comfort. The "pineapple bar" treats all drinks equally, as there isn’t a physical cocktail list, but it’s just more incentive to have one of the intuitive bartenders analyze your needs. Wiser's Canadian whiskey? Check. Grade-A Ontario maple syrup? Check. A cinnamon stick for garnish? Double check. The Rural Road should be a dessert cocktail, but it’s more of a starter to help you take on Hunters' signature fish tacos, breakfast board, and general brunch fare. Nightowl has gained notoriety for its cheap eats, boozy floats, and nostalgic foosball table, but the real attraction is the cocktail list. Drinks are named after different areas in Toronto (ie. 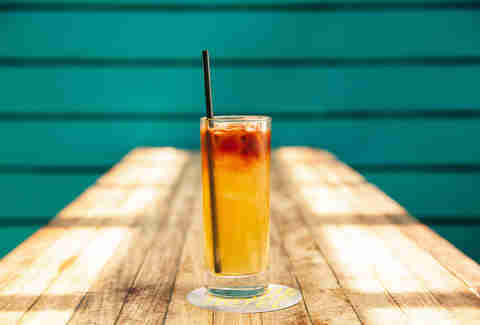 Spadina, Augusta, Sugar Beach), and one popular must-try is the Eglinton West -- a "Little Jamaica"-approved nightcap that’s a potent blend of rum and mango with a hint of lime. The Cloak is mostly hidden underneath Marben, but it’s no secret that its collection of spirits and liqueurs is top-notch. 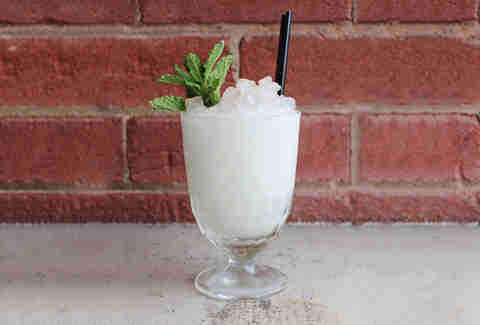 The bartenders will punch up anything, and the New Orleans Frappé, an inviting blend of cocoa butter-washed anisette, orgeat, and cream, is proof. A trip to The Harbord Room usually leads to a ravenous round of burgers, charred sides, and albacore tuna crudo, but there’s also nothing wrong with going for a drink or two, especially when it’s patio season. The Lady Sniper ($16) and Endless English Summers ($12) are worth a sip, but don’t overlook this traditional Scottish concoction ($13) that uses Auchentoshan 12-Year Scotch, honey, frothed cream, and shaved nutmeg, and dates all the way back to the 1400s. Home Of The Brave’s latest is a grand slam of Marketing 101, but it also happens to be one of the city’s tastiest frozen cocktails. At its core, The Joe Carter is a fun combo of the Blue Bird Slushie (vodka, blue caracao, lemon) and Smasharita Slushie (Tromba, Cointreau, lime juice). And on game day, it hits like a walk-off blast down the left field line. To keep it simple: the Cocktail Bar at the Black Hoof knows its cocktails. The Jen Agg establishment pours a bunch of classics (Hoof Manhattan, Corpse Reviver #2) and seasonal libations (Griddler, Absinthe Whip), but here, it’s all about the wildcards. The Gold Fashioned is one drink that goes outside the norm: an unprecedented mix of buttered-popcorn brandy, yellow chartreuse, bitters, and Cherry Coke. Cold Tea is tucked away in a nondescript part of Kensington, but even so, the bar has turned into a late-night hot spot for dim sum, barbecue pork buns, and hip-hop classics. 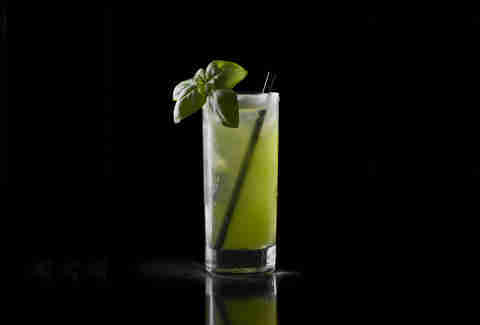 There’s no shame in asking for a specific drink, but the bartenders throw the rulebook out the window -- be a risk taker. Southern libations are a thing here, and there’s nothing more twangy than the signature punch, made with Wild Turkey, Benedictine, pear brandy, pear bitters, and seasonal fruits. Do yourself a favour and befriend one of The Drake’s resident bartenders. 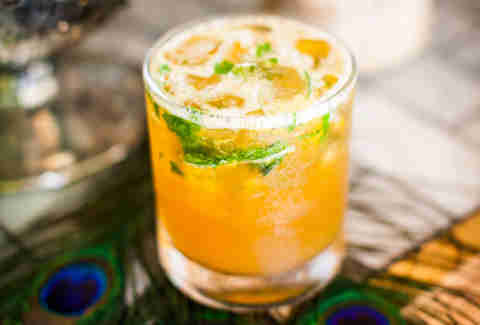 The Maharaja, Sandy De Almeida’s custom treat, is a blend of Havana Club 7-Year rum, pineapple, falernum, and ginger beer. It'll be a smooth revelation in the middle of July. If your yoga urges are turning into an addiction, visit D.W. Alexander. This lounge has made a name for itself as a post-work retreat, and its success can be attributed to its gin-based spin-offs, like the Yoga Mat, shaken with seasonal mixed berry preserves, mint, and lemon juice, and topped with a splash of prosecco. Figo is the type of place where you'll stay for the panna cotta or another helping of wild boar ragu, but it doesn’t do "basic" when it comes to signature cocktails. 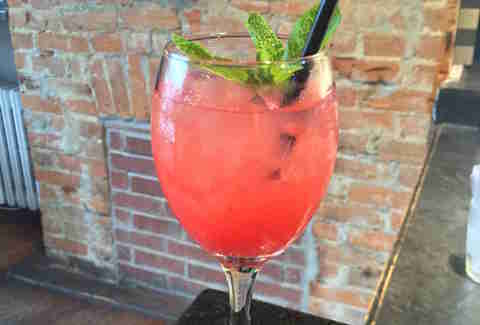 The Italian restaurant boasts an untraditional list, and at the top is its famous Punch Americano -- a smooth blend of Cocchi Americano, Cocchi Rosa, Bacardi Superior, white wine, white cranberry, and fresh lemon, in a glass ($15) or a decanter ($60) for a party of four. The Davisville food bar has built a reputation on small plates and Indonesian-Dutch cuisine, but Little Sister's cocktails add a whole new layer to its winning combination. 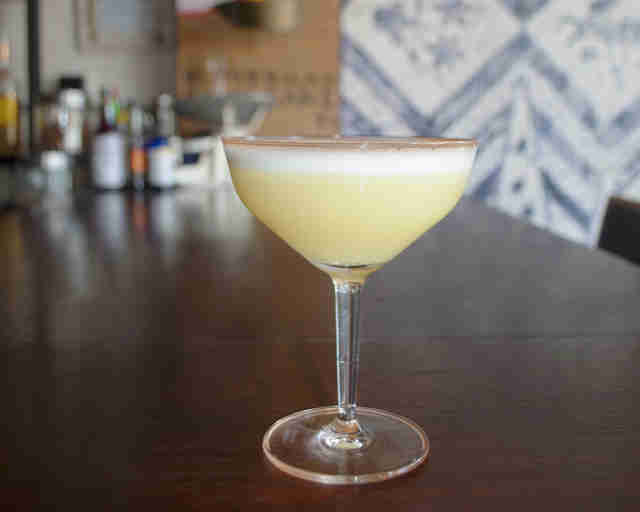 The best drink is the “Burnt” Pineapple Pisco Sour, an Angostura-scorched mix of El Gobernador, Domaine de Canton, egg whites, and charred pineapple honey puree. It has a bit of a kick, so pair it with an order of rendang tacos or Balinese spiced chicken. Caesars? At a Harry Potter-themed bar? It’s true, and you should definitely believe the hype. The Little Portugal spot offers a mean brunch menu and an array of boozy fan fiction (Big Bad Wolf, The Captain Picard), but the signature Caesar stands out: how could you deny a drink made with a mysterious yet not-so-secret ingredient called "death potion"? Kon Tiki, Julian Altrows and Zach Littlejohn’s boozy island delight, is a mix of Zombie rum, passion-pineapple, absinthe, agave, and coconut foam that’s basically served in a frozen pineapple. Serious question: is it summer yet? The Northwood team recently took it upon themselves to make a "boozy but summery bourbon drink" which resulted in the Royal Oak ($13). 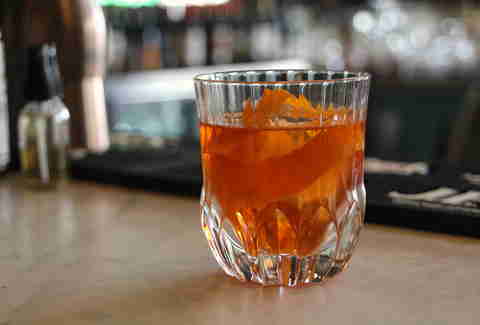 The spirit-driven original is a 2.75oz mix of Elijah Craig 12-Year, Cocchi Americano, Amaro Nonino, and grapefruit. For what it's worth, Odd Thomas is most certainly odd. The beer bar/nightclub space inhabits the second floor of the Mascot Brewery and Beer Garden Complex, and it's all about "getting weird" with adventurous craft brews ($8) and Frisco Sours ($13). Its take on a Quiet Storm ($13) is the perfect late-night chum as Bacardi 8 and red bush vermouth mingle with lemon & ginger syrup. Cocktails on the 51st floor of the Manulife Centre? Why not? The #VIEWS are worth it, and so is the Snow Bunny -- a bourbon-lover's cocktail with bourbon, apple cider, ginger beer, and candied ginger. 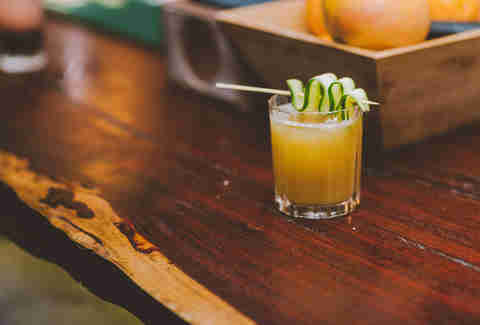 Patois' cocktail list is full of summer sippers. The Dutty Wine ($14) blends red or white wine with white rum, pineapple juice, lime, and ginger ale, and like other Patois selects, it can be upsized to a teapot "pitcher" ($52). Named after a My Bloody Valentine album, Loveless specializes in espressos, snacks, and cocktails (with an emphasis on cocktails). One particular standout is the Corvette Summer ($11) -- a tequila-based drink spiked with grapefruit, lime, tonic syrup, and soda. Rumen Dimitroff’s Russian-themed vodka house knows a thing or two about vodka (obviously), and this refresher spikes the citron variety with limoncello, prosecco, and fresh lemon juice. Ivana Raca's Queensway haunt is worth the trip, as its fully outfitted with Bali-inspired decor, an intimate back patio, and dishes that scream French and Italian cuisine. Then there’s Ed Grim’s cocktail menu, which includes juleps that let bourbon and passion fruit puree go on their own little honeymoon. The Dark Bourbon Manhattan ($14), Canadian Tuxedo ($14), and Barrel Aged “Tegroni” ($19) are all hits at Matty Matheson's spot. But go with the dealer’s choice. Real Sports is home to all things Jays, Leafs, and Raptors, and so it's only fitting that the drink list is anchored by infamous sports figures. The Puck Bunny is a mix of raspberry vodka, cassis, pomegranate juice, lemonade, and soda, and on a bad night, it can pair well with defeat. Jen Agg is still hell-bent on dismantling the villainous evil empire known as "vodka," but there’s no denying her craft. Rhum Corner is a Caribbean haven that pushes classic Mai Tais ($12) and daiquiris ($13) with the odd piña colada slushie ($8). The Rumhattan ($11) is a favorite, blending up rum, Antica, maraschino, and house bitters. 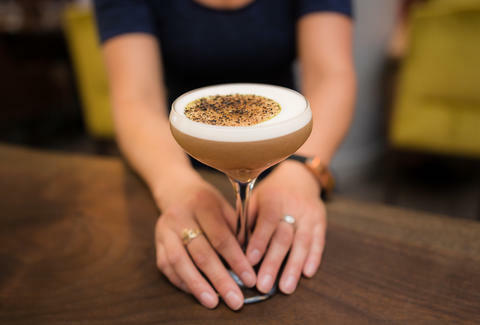 Roll Play’s Hong Kong Martini ($12) is a creative variation of the Yuanyang/Kopi Cham, and the jolt is real, pairing house-made Earl Grey gin with doses of espresso and evaporated milk. It’s sweeter than sweet, but it’s the perfect pick-me-up for Downtown dwellers that rely on chai tea lattes. Rod Moore and Alana Noduega’s Tiki hideout is decked out in bamboo, pufferfish lamps, and a snapshot of South Pacific culture, but the only things that matter are the Bowls. They come in three different varieties -- the Mystery Bowl ($23), the Voodoo Bowl ($50), and the Volcano Bowl ($40) -- and they’re pumped with secret spices, juices, rums, and syrups. 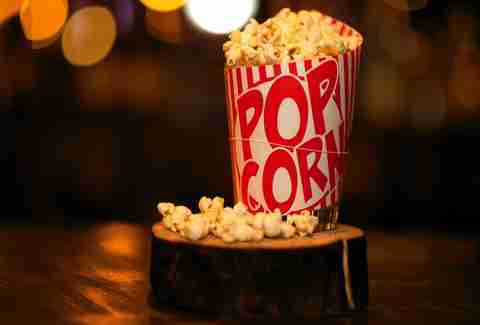 Secretly created by the folks behind the Toronto Institute of Bartending, SpiritHouse's version of Netflix And Chill ($14) pairs brown butter and popcorn-infused bourbon with amaro, apple cider, orange reduction, egg white, black walnut bitters, fresh lemon, and house popcorn. Skin + Bones banks on group dining and aromatic cocktails such as Roses Are Red, which romances with Cocchi Americano Rosa, gin, and rose liqueur. Toronto’s first-ever lawn games bar will make you get the gang together for some shuffleboard, but stay for this nip which supports "Lonerism" with a trio of tequila, ginger beer, and chai tea. The Toronto Temperance Society is currently accepting new applications to practice "the art of drinking well," and while new members can attend seminars and tastings, they’ll also be able to indulge in TTS’ exquisite drink list. One definitive gem is Liquid Wisdom -- a fancy house cocktail that intertwines chamomile-infused Scotch with sweet pear liqueur, honey, lemon, egg white, bitters, and absinthe wash.
To wash down all the snacks at The Wickson, there’s the Apple Pie Sour ($14), which stirs together bisongrass vodka, Calvados, lemon, apple, egg white, and house-made allspice syrup. The infamous Whippoorwill burger has a way of bringing time to a standstill, but thankfully the Bloordale Village spot has a $12 sidekick called The Swashbuckler. It’s a heady mix of Brugal Anejo rum, Lustau Amontillado sherry, Bowmore 12-Year Scotch, and house-made hazelnut falernum; exotic and smooth. 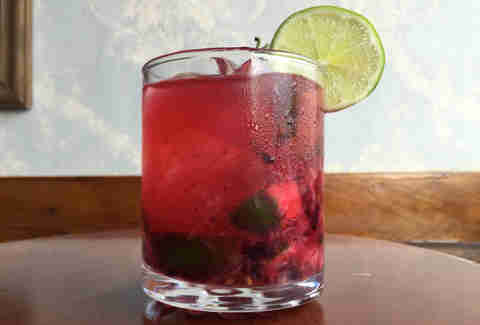 Dennis and Rhonda Kimeda’s Southern-style plates will slow you down, but the Brazilian staple, the Blackberry Caipirinha, will pick you right back up with its nectarous blend of white rum, lime, sugar, and blackberries. Joshua Khan is a Toronto-based writer who knows a thing or two about Caribbean punches and Angostura Single Barrel Reserve. Follow him and his endeavors over at: @blaremag.